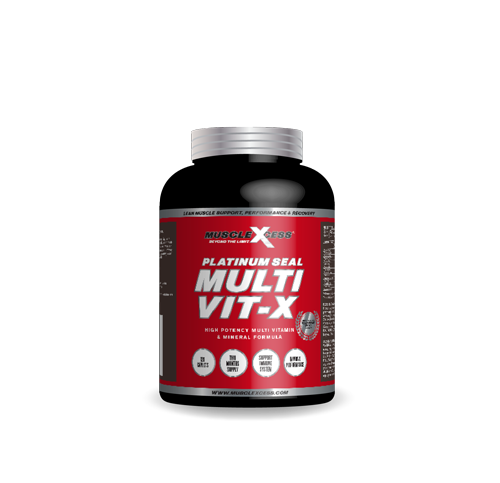 Muscle Xcess Platinum Seal Multi Vit-X is an optimum combination of all the essential vitamins & minerals required to help both the male and female athlete build a strong immune system. 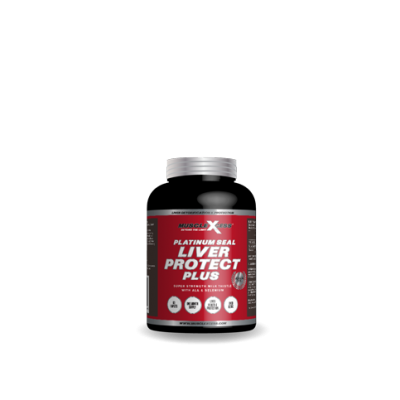 Muscle Xcess Platinum Seal Multi Vit-X is an optimum combination of all the essential vitamins & minerals required to help both the male and female athlete build a strong immune system. Having a weak immune system can halt your progress in the gym and field of play, reducing gains and affecting performance and recovery. 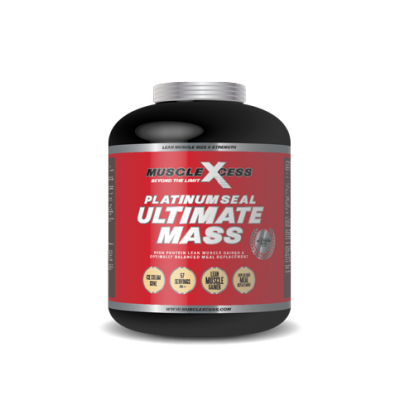 Add Multi Vit-X to your supplement regime and take your physique and performance – Beyond the Limit. 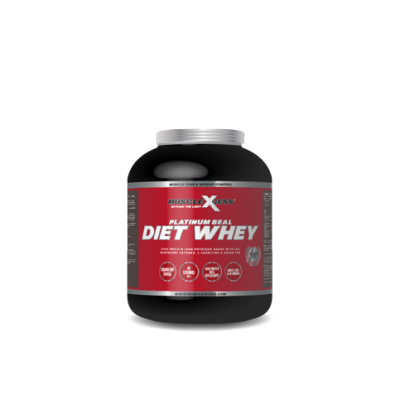 INGREDIENTS: Calcium carbonate, Cellulose microcrystalline, Vitamin E powder, Magnesium hydroxide carbonate, Ascorbic acid, Calcium-D-pantothenate, Choline bitartrate, Citrus bioflavonoids, Folic acid, Potassium carbonate, Beta carotene, Vitamin K, Coenzyme Q10, Nicotinamide, Zinc oxide, Biotin, Thiamine, Dodium selenite, Pyridoxine hydrochloride, Cyanocobalamin, Riboflavin, Iron A.A. chelate, Inositol, Chromium chloride, Sodium molybdate, Lutein, Manganese sulphate, Boric acid, Copper sulphate. INACTIVE INGREDIENTS: Microcrystalline Cellulose, Silicon Dioxide, Magnesium Stearate. SUGGESTED USE: Take 1 serving (2 caplets) daily with a morning meal.